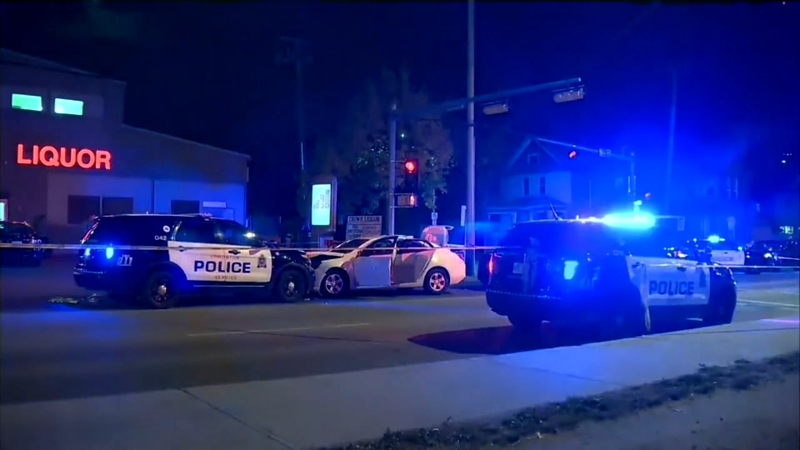 EDMONTON, Canada -- A car and knife attack on a police officer outside a football game and a high-speed chase of a moving van that left four people injured appear to be the work of a single suspected terrorist, Canadian authorities said Sunday. The officer was taken to a hospital and treated for non-life-threatening injuries while a manhunt was launched, and Knecht said his condition was "not critical." Knecht said Edmonton police were working with the Royal Canadian Mounted Police's National Security Enforcement Team and other Canadian security agencies. He advised the public to remain vigilant and observant of their surroundings. It was military appreciation night at the football game between the Edmonton Eskimos and the Winnipeg Blue Bombers. Canada's chief of defense staff, Gen. Jonathan Vance, conducted the pregame coin flip and two CF-18 fighter jets did a fly-past before kickoff. More than 800 Boy Scouts were expected at the game. "We cannot - and will not - let violent extremism take root in our communities. We know that Canada's strength comes from our diversity, and we will not be cowed by those who seek to divide us or promote fear," Trudeau said.